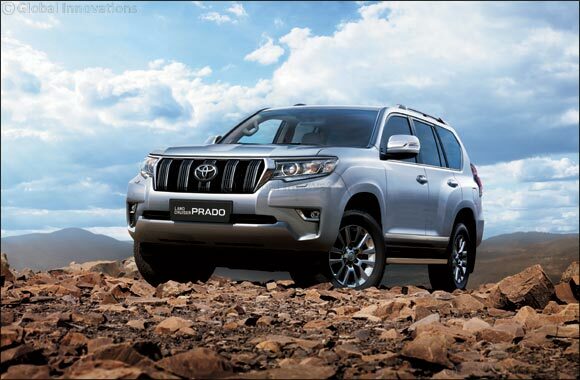 Dubai, United Arab Emirates, April 9, 2018 – Toyota Land Cruiser Prado, one of the world's toughest and most reliable SUVs and leader of the midsize SUV segment in the UAE acquired the Best SUV Car of the Year title at the Wheels Car of the Year Awards 2018, the region's most established independent automotive awards, thanks to its new dynamic, modern and robust styling formula. The new Prado builds on proven and trusted capabilities, and maintains three core strengths essential to the vehicle's renowned go-anywhere credentials, namely, ‘Total Practicality' ‘Total Durability' and ‘Total Capability'. The exterior design of successive Prado generations has always combined stylish aesthetics with the robust image of durability and power expected from a genuine four-wheel drive machine. The new Prado is available in two engine options including a 4-cylinder 2.7-liter and a V6 4.0-liter engine, and come in ten exterior colors and 2 interior colors. Both engines are mated with a 6-speed ‘Super-Intelligent Electronically'-controlled automatic transmission with multi-mode sequential shift mode that allows the driver to select gears manually, making it ideal for added control in challenging weather conditions.